Wimberg Blog | Ten Plants That Have to Go! Ten Plants That Have to Go! Selecting only ten plants to remove from the home landscape is no small task. There are some plants that are invasive and should be removed without hesitation. Then there are plants that are very aggressive, but may have a place in the landscape. These we plant and maintain with extra care. And of course there are the “why did I plant this?” plants. These are plants that may be beautiful, but have a tendency to be aggressive, especially in tight spaces or simply require too much care. This shrub is pervasive in the Cincinnati landscape. We often find it at the back of the property, along fence lines, tucked behind the garage and in some cases featured in the landscape, limbed up and shaped like an ornamental tree. Our designers can suggest a slew of more desirable alternatives from arborvitae to viburnums and spring-flowering understory trees like dogwoods. There is a better alternative out there! This is more than a nuisance plant, it’s a dangerous plant. Some people claim not to be affected by its oil. Others, like yours truly, will find herself at the doctor's office if she touches it. You will find it growing along property lines, fences, abutting sidewalks, climbing garages and trees- it’s a plant that needs to be dealt with. Many professionals will spray the ivy and return the following year to remove it. You can pull it to your heart’s content, but chances are you will repeat the struggle within a week or two. Some plants need more than muscle power to eradicate it. Prolific plants, that are left to flower and seed, will not only wreak havoc on your landscape, but your neighbor’s landscape as well. If it’s growing up your tree, it must be dealt with. This is a plant that can do great harm if it escapes the landscape. However, it only flowers and fruits when it grows vertically. Preventing it from climbing as well as escaping its intended garden bed will help to keep it in check. This is a plant that should be grown responsibly. Ditto as above. 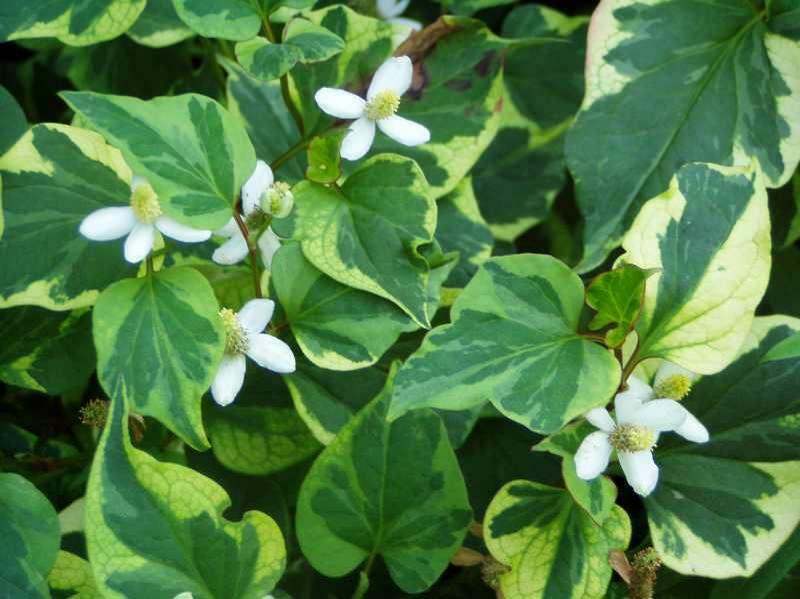 A great ground cover, tough as nails and vigorous makes it ideal for tricky landscape sites. But this plant should also be treated with respect. If it has started to climb trees or is escaping its intended location, it should be dealt with immediately. The Callery pear was recently added to Ohio’s list of invasive plants, even if this tree wasn’t taking over the native plant areas, we ask, why pick this tree? There are far more suitable and attractive trees for the Cincinnati landscape. Native to the Eastern United States this vigorous grower is quite adaptable. Perhaps too adaptable. It’s beautiful. It does have great winter interest, but it will take over the garden. If you are an avid gardener or have professionals tending to your landscape, it may not be an issue. If you are a plant and let it be type of gardener, your garden may be this grass, and this grass only down the road. Plant with caution. Most homeowners don't know where those ferns came from, maybe grandma? But the ferns are spreading quickly and are difficult to keep in check. Some ferns are aggressive, and this can be great: in the right situation. But if you desire a lush shade garden and prefer a more diverse plant selection we can recommend several well-behaved ferns that will not take over the garden. There are few plants I loathe and this is one. Missouri Botanical Garden warns it, “spreads indefinitely and often vigorously by rhizomes.” It recommends having a building (a building!) or a sidewalk to stop it’s expansion. It’s beautiful in photos, but once it takes over, you will find its beauty quickly fades. A simple reminder that now is not the time to cut back on weeding. If the temperatures are mild, weeds will carry on. Gardens are easiest to care for when weeds are addressed on a regular basis and not left to run rampant. Proper mulching will help keep weeds at bay. Our favorite method though is to plant more plants. We would rather see more plants than mulch!